CAASTRO has worked with experienced Science Teachers to develop a range of classroom resources for Years 5, 7 and 10 Science and Senior Secondary Physics. Resources include: pre-visit and post-visit worksheets and classroom activities, video recordings of past video conferencing sessions, investigations using real astronomical data, researcher profiles, animations and more! 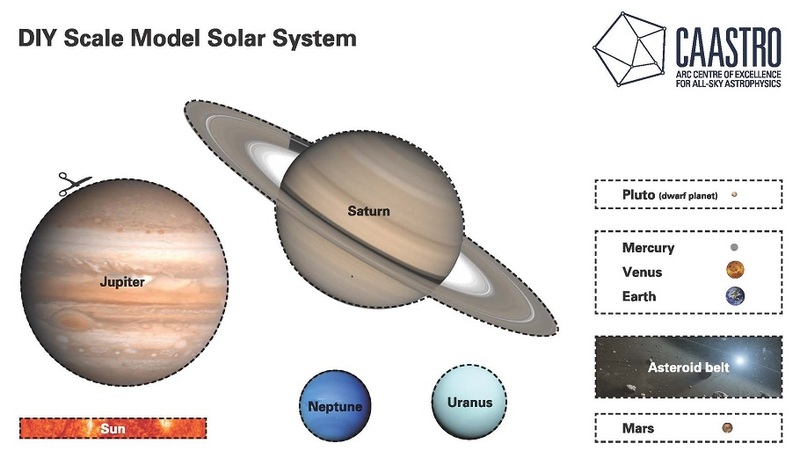 To make your own scale model of the Solar System, you will need: A print out of the instruction sheet, a long strip of paper, as long as you can stretch your arms apart and about 5cm wide (cash register rolls work well), scissors and sticky tape or a glue stick. Packed with ideas for classroom activities, these resources can be used on their own, or in conjunction with live presentations or recordings of past presentations. 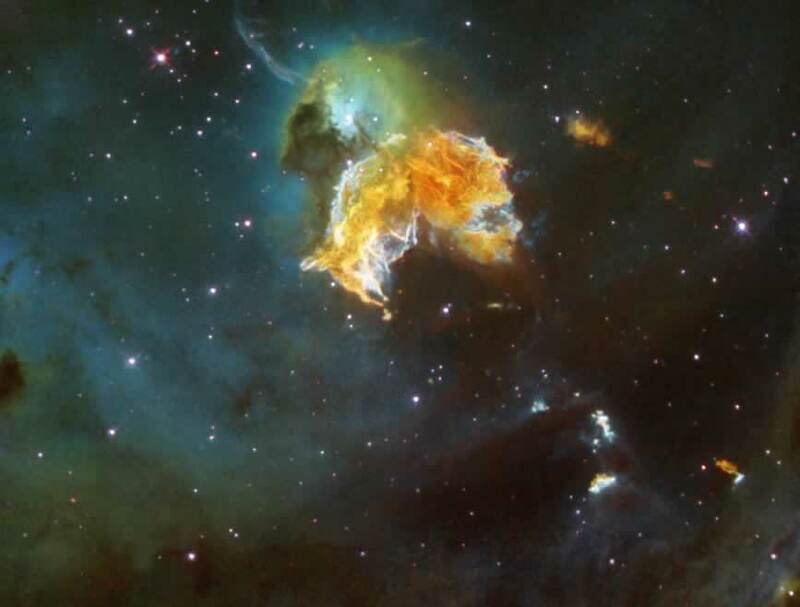 Science Teachers and CAASTRO researchers have developed two fun activities that enable students to use real images from an Australian telescope to find supernovae. 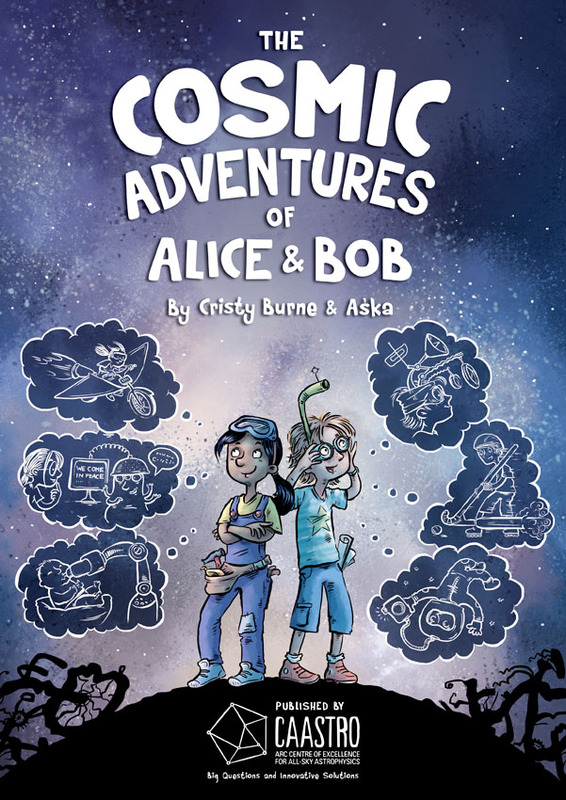 We are pleased to announce that our latest Education & Outreach legacy project has been completed: the fully illustrated comic book “The Cosmic Adventures of Alice & Bob” will be launched as a keynote stage show at Perth Astrofest on 18 March 2017. Our CAASTRO working group, led by Education & Outreach Manager Dr Wiebke Ebeling (Curtin University) and assisted by CAASTRO School Education Officer Jenny Lynch (University of Sydney) and CAASTRO Chief Investigator Dr Christian Wolf (ANU), collaborated with Perth-based science communicators Cristy Burne (children’s book author) and Perth-based Aśka (illustrator) to create this fun and educational resource. Ever wanted to find the answer to BIG questions? Or dreamed of inventing the Next Big Thing? All primary and combined schools in Australia received a FREE copy and copies will also be available at CAASTRO’s public events such as Perth Astrofest (18 March), Sydney Astrofest (1 July), Melbourne Astronomy & Light Festival (September) and the Uluru Astronomy Weekend (20-22 October). 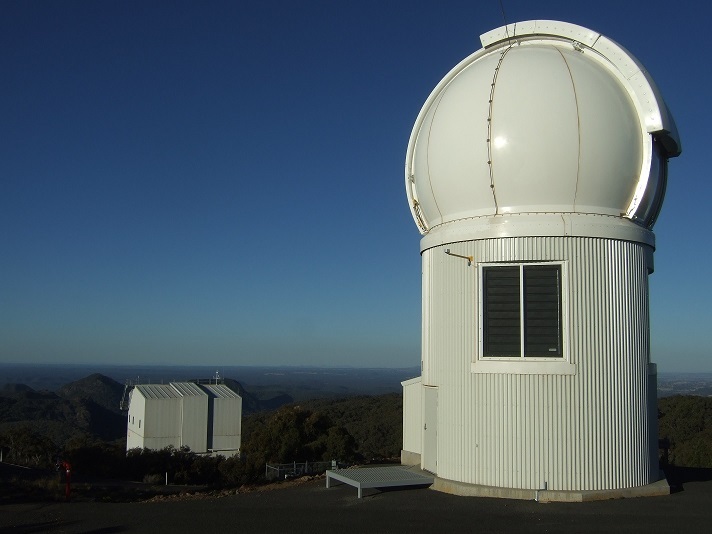 Gold coin donations will raise funds to support local astronomy outreach projects. Orders for additional free copies for schools closed on 30 April 2017.